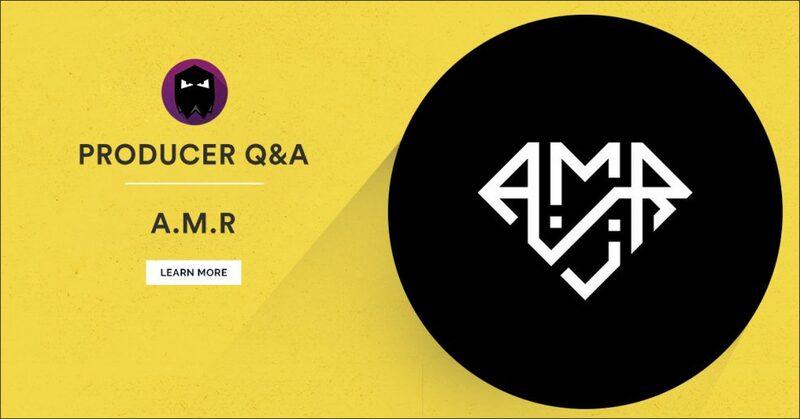 Hey Amr, thanks for taking time out of your busy schedule to do an interview with us. How are you today? I got into producing during my early teens when my uncle first introduced me to FL Studio. I started off creating simple beats and melodies, and showing the tracks to friends and family. It didn’t start out too well, but eventually got to a point where people’s ears hurt less when they listened lol. I took my hobby a step further as I got older, and went to study Audio Engineering at SAE Institute. I gained so much from that experience. The great thing about producing is that the learning process never really stops, which I think is what keeps the passion alive. Listening to different styles of music, watching production tutorials on YouTube, playing with a new sample library that I just downloaded… All these are things that help me kick-start the process. I think this will differ from person to person, so it’s all a matter of finding what works for you. If you ever get stuck finishing a track. How do you overcome it? Usually when the juices aren’t flowing, I’ll try working on an older project, and come back to it at a later stage. I also find that giving yourself breaks from listening to your project repeatedly also helps, whether that be by listening to new music or watching an episode of your favorite TV show. When you come back to your project, you should start to pick up some new ideas, or notice mistakes that you didn’t before. Organize your samples and presets properly! I did this a few years back, and it really made a difference. It might take quite some time at first, but to be honest, it will really pay off later on. The faster you can find the sounds you need, the faster you can get your ideas down. I would say my Genelec 8040s. They have such a great frequency response, and have helped me so much over the years in getting a well balanced mix. I honestly don’t think I can mix without them. Your music always features unique melodies and harmonies. Do you have any tips on creating them? Normally I would start off with a piano patch, and then try and write a few chords that work well together. Once I’ve found a combination of chords that I like, I’ll try shuffling the chords around until I find something that’s both interesting and unique. In some cases, changes as simple as just altering the groove of the melody can really make the difference for your track. Would you advice other producers to use a dedicated mastering engineer or to master their tracks themselves? Trying to master your own tracks after spending countless hours listening to the same thing is going to be a difficult task, especially without an acoustically treated room. A mastering engineer for me, is really the way to go. Not only because they are mastering in a better environment, but also because they can assess the track from a new perspective without being biased. Thank you A.M.R, it has been a pleasure talking to you. We hope our readers have enjoyed a deeper insight into you workflow. We wish you all the best with your up and coming releases. Thanks for sharing this ! It gave me some answers I was looking for in my own workflow ! !